Now a private residence the former station building has that charming bygone railway feel to it with those wonderfully restored barge boards, lavish chimneys and well kept garden. A "Jack Russell" was usually to be found sat outside the white painted door jealously guarding his territory. 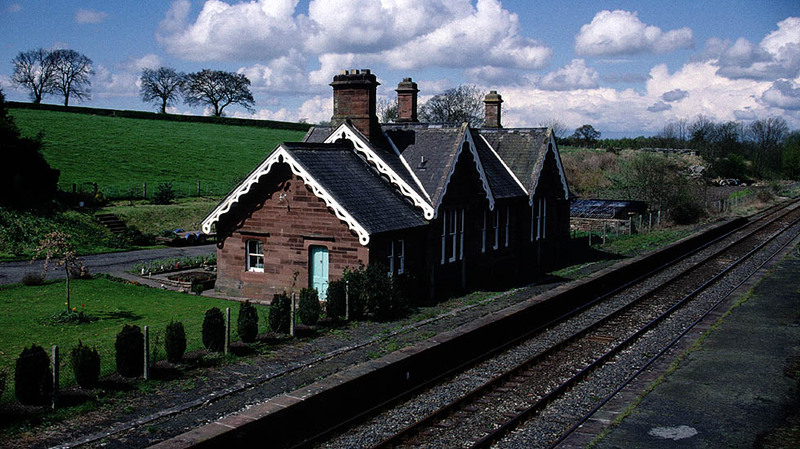 The station closed as far back as 1956 and being only four miles from Carlisle tentative murmurings of its reopening have so far been just that.